Every season it's exciting to see what the designers and ready-to-wear collections bring to the table. What will be hot, and what's fading fast? Check the Foxburrow Vintage blog every season to find out what the latest trends are, and how you can find them in vintage. Vintage clothing is affordable, well made, and unique. After all, you may see the same shirt from Target on some other shopper, but you'll never see the same vintage romper on someone else! Since most modern fashion derives from trends of the past, it's easy to find amazing vintage pieces that are right on trend with today's fashions. So what's popular for Spring 2013? 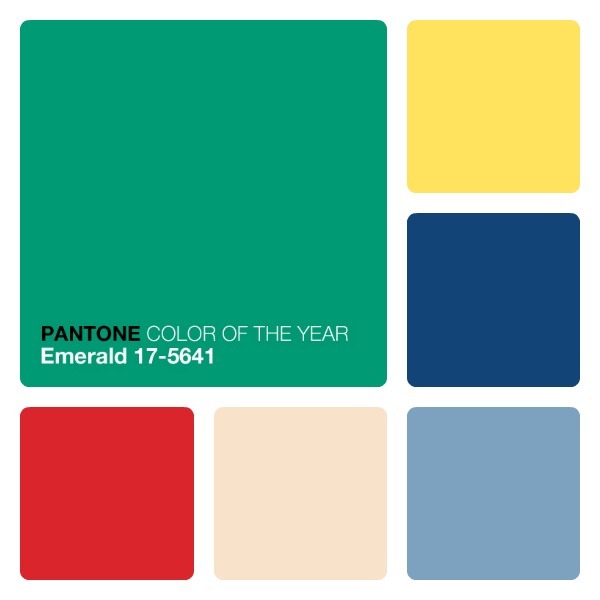 Pantone released the Color of the Year early on this year - it's Emerald! A beautiful color that looks great on pale skin. Pair it with the bright Poppy Red for some real va-voom! These are a few of my favorite Pantone picks for Spring 2013. Lemon Zest yellow is big in ready-to-wear, and we'll be sure to see lots of the Monaco Blue in the coming months with the Nautical trend still being so very popular. Also chic for the season are Linen and Dusk Blue. Luckily, the Neon trend is dying away. Popular prints continue to be Chevron and Floral. Lace remains popular and is a great way to stay cool and look chic, especially as sleeves or a lace-back. Sheer has also been seen on the runway this year and will be a great way to keep cool this spring along with lace. Let's keep it tasteful though and invest in some high quality vintage slips! The Chambray (SHambrā) shirt has been making a comeback along with the classic denim shirt. Chambray is a lighter fabric, often softer and more malleable which makes it ideal for pairing with more delicate garments like soft sweaters and sweet skirts. The combined look is both casual and refined. Colorblock is still an ongoing trend, though it has died off a little and is mostly being seen in shoes. Polka dots are big this year in conjunction with the Nautical trend and the romper, which gained popularity last year, is still going strong. We'll also see plenty of cropped jackets and boleros popping up this spring. All in all an exciting season! Stay tuned for the Foxburrow Vintage launch which includes lots of these trendy goodies!